Ammonia reacts with copper sulfate, 1 of 3. 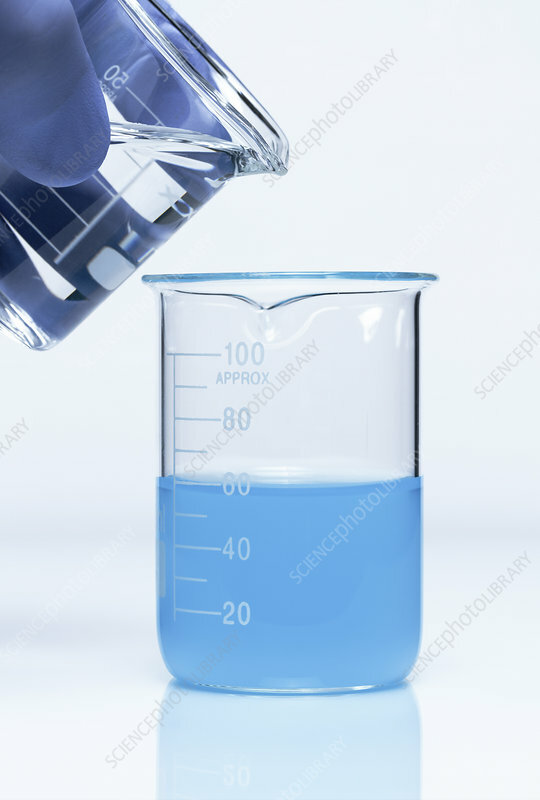 When copper(II) sulfate (CuSO4) is dissolved in water, it forms a blue aquo complex (hexaaquacopper(II), (Cu(H2O)6)2+). When ammonia (NH4OH) is poured into the solution, at first pale blue copper hydroxide (Cu(OH)2) is formed. It then dissolves in excess ammonia to form a deep blue solution of tetraaminediaquacopper(II) complex ((Cu(NH3)4(H2O)2)2+). Here 0.2M copper sulfate and 0.5M ammonia solutions were used.